Do you remember those days back when you were younger, and you could just decide to take off for the weekend? You’d grab some clothes and throw them in a bag and hit the road. Maybe you had an idea of where you were going to end up. Maybe you were just winging it, figuring you’d stop somewhere that looked interesting. That, my friends, is called being spontaneous. It’s funny how life creeps in and a decade (or two) later, you’re tied to your calendar and all the activities that fill it. You get used to it and the years go by and you constantly tell yourself, “I’ll do that when I have more time”. One day you wake up and you realize your life is so scheduled that you don’t even know how to be spontaneous anymore. Well, last Summer we had something totally magical happen. Soccer camp was going to end a week earlier than we thought it would. This meant we were going to have eight days off between soccer camp and ASB camp. I had 10 days to plan and book a vacation. I immediately started thinking what could we see in about a week and wouldn’t cost a fortune at this late date. I start looking up airfares for various places, one of which was New York City. We’ve been waiting to go there, but it hadn’t worked out yet. Turns out New York City costs a small fortune when you’re booking it last minute. On a whim, I looked up flight and hotel packages to Paris, France and going to Paris for a week was actually cheaper than going to NYC for a week. Can you believe it? But really, who does that? Regular people don’t do that. Who decides that they are just going to drop everything and fly to Paris 10 days from now? Turns out, I do that. One of my favorite pictures from the trip is this picture of my kids in front of one of the fountains of Versaille. We had a ton of fun. We crammed in so many sights and museums in the week we were there. We did so much walking all over the City – miles and miles everyday. My son had a list of things to see from his Art History teacher. And my daughter was in charge of figuring out the metro routes and finding macarons. I guess the four and half years of French I took (twenty years ago) paid off since I was able to get by communicating in French. Madame Robert would be proud that I remembered as much as I did. I made this scrapbook page using our new Memories & More Pocket Page line. 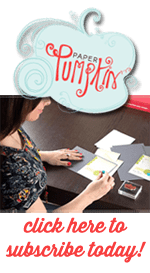 I love these pages because I can make scrapbook pages quick and easy. I can just slide my pictures and the Memories & More cards into the pockets and the page is done. Or I can do my own thing like I did here. I trimmed the picture down a little bit so I could mount it on card stock. The Paris card on the bottom is made from stamping the repeating hearts from the Heart Happiness stamp set along one edge. The “Paris” is die cut from our vellum card stock. Then I colored the back side of the vellum with our Stampin Blends marker. It almost looks like I drew the “Paris” right on the card stock itself. Looking at this picture just makes me smile. Speaking of being spontaneous, we are down to the last two days of Sale-abration. Has there been anything you’ve been holding out on getting? Today, right now is the time to make that purchase. For every $50 catalog purchase pre-tax and shipping, you can select a FREE item from the Sale-abration Catalog. So many amazing choices. Or, if you’re feeling really spontaneous… you should sign up to be a Demonstrator. Our starter kit is $99 and you get to pick $125 worth of products for your kit. 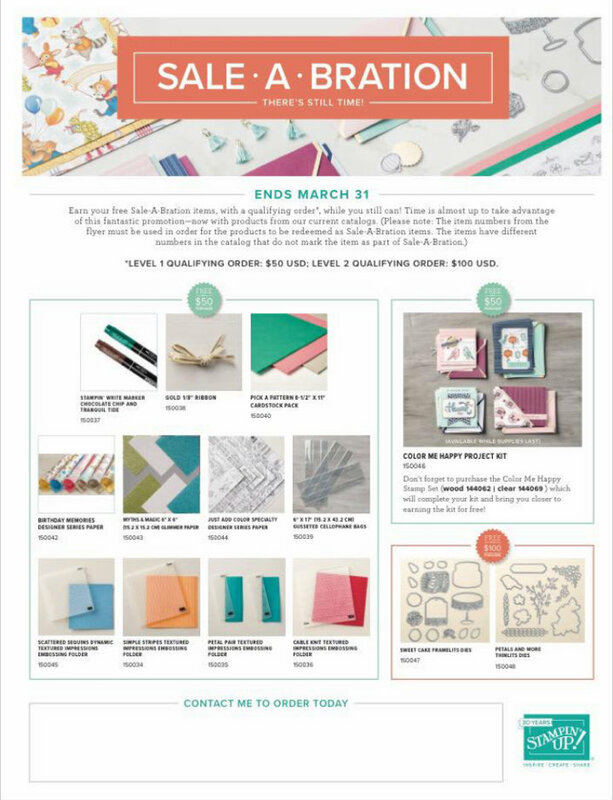 Plus you get to pick an additional two FREE stamp sets at any price from the catalog to be included in your kit. That’s up to $226 worth of products for only $99. But this special ends tomorrow. Don’t miss out on being spontaneous.